You’ve set you first goal wrong. That’s why you failed. Everybody sets their first goal wrong. I did it as well. Your first goal should not be a weight loss goal or a financial goal or “start-my-business” goal, although most people start thinking about goals when something bugged them to take action. Your first goal is to setup the system that will make these goals happen. 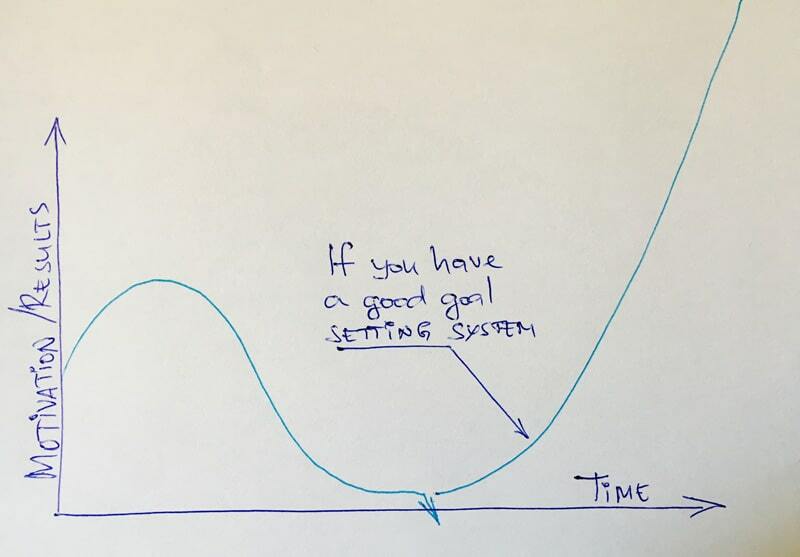 It’s the system that helps you achieve the goals, not how well you chose them. The biggest mistake in goal setting is to start setting goals without setting up a goal setting system first. Which system you choose doesn’t matter as long as this system works for you. You start with a good intention. Somebody or something motivated you. The first days it was amazing. You are focused, motivated and have progress. The start was quick – you already knew what the fist few steps had to be. And then something happens. The daily whirlwind takes over. You are busy like all of us and you slow down your progress. 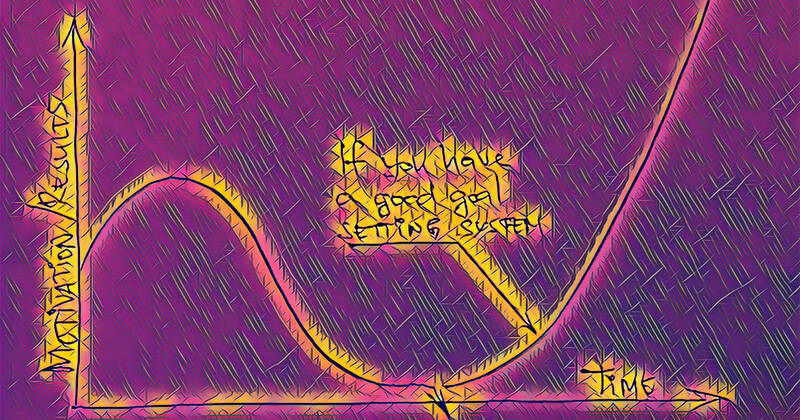 It depends usually on the person, but in a week or few weeks after the start, you barely remember the goal and of course you make less and less progress. 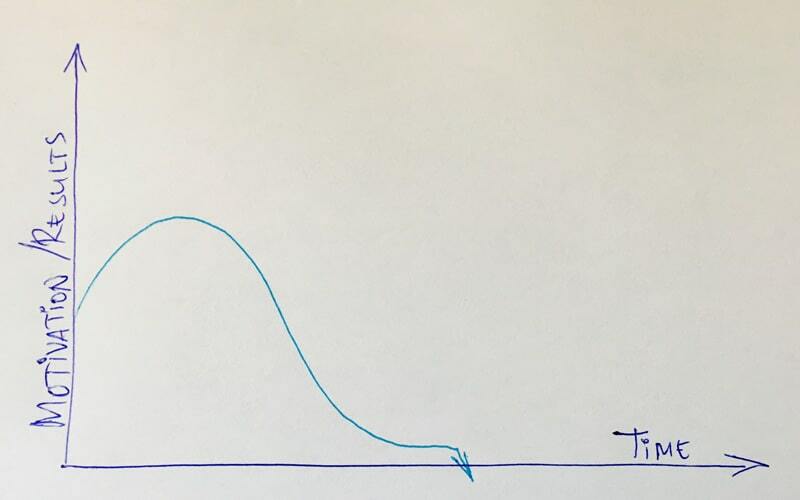 This reminds me of a concept called “The Dip” by Seth Godin. You don’t just start goals without a support system (unless you are the single most disciplined person on earth). will help you create an automatic habit to monitor your goals on daily basis so you constantly feed you mind. So, set your next goal today. But don’t set a fitness or financial goal. Let your priority goal be to setup a goal setting system first. You may want to check out our free guide how to do this. 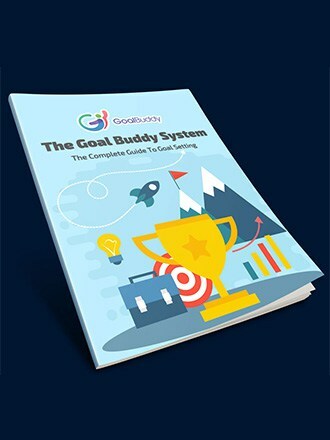 The goal buddy app could be a great part of this goal setting and achieving system! Download your app for free now! !